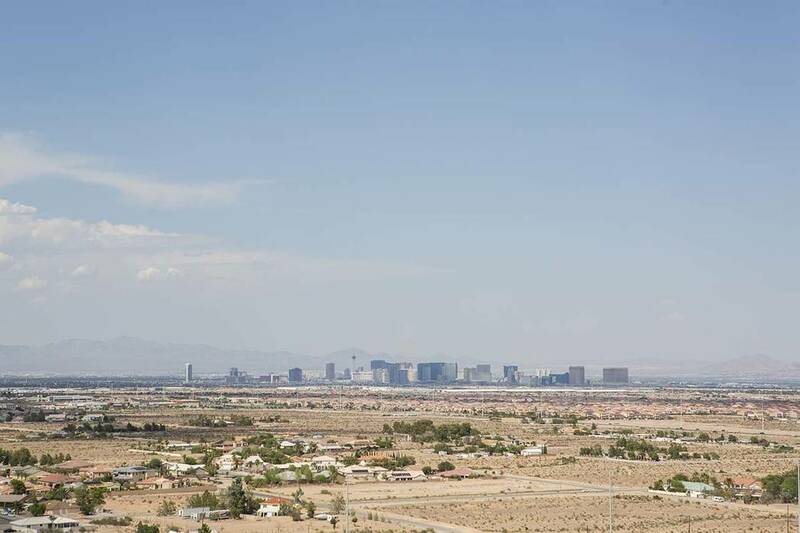 Dry, increasingly sunny weather is in store for the Las Vegas Valley until a storm system arrives this weekend, the National Weather Service said. After Wednesday was partly cloudy with a high of 62, Thursday should be clear to mostly sunny. Thursday also has an expected high of 62, a few ticks above the typical high for this time of year of 57 degrees, meteorologist Alex Boothe said. “We’re right around normal through at least the end of the workweek,” he said. Partly cloudy skies on Friday should be paired with a high of 59 degrees. Dry weather is expected through Friday. However, a system from the Pacific Ocean will begin influencing valley weather by the weekend, with a 20 percent chance for rain on Saturday, the weather service said. Skies will be partly cloudy on Saturday and Sunday, which have respective forecast highs of 58 and 56, Boothe said. Lows will remain in the 40s through the weekend. Monday should reach 54 degrees as rain chances return again, this time at 40 percent, the weather service said. Colder than usual temperatures that began 2019 could mark the chilliest stretch for the valley this year, as temperatures gradually warm up, Boothe said. “Hopefully that was our cold spell,” Boothe said. Contact Mike Shoro at mshoro@reviewjournal.com or 702-387-5290. Follow @mike_shoro on Twitter. Review-Journal staff writer Katelyn Newberg contributed to this report.